The two firms claim that integrating consumers’ MasterCard accounts with Weve’s payment platform will allow consumers to make purchases using their smartphones while keeping costs down for retailers. MasterCard will provide technology and integration services to banks and financial institutions wishing to take advantage of Weve’s payments platform. “Our vision is that you will be able to store your card details in your phone using your existing banking app and load it into the SIM card. Once it’s in there, it’s just like a contactless card,” Weve CEO David Sear told Telecoms.com. He added that Weve’s platform would carry a lower cost of processing mobile transactions than any competing technologies, but would not be drawn on how exactly how it intends to build a business model using the platform or how the service would be priced. “There are a variety of different models but it’s not likely that we’ll take a slice out of each transaction. There is a cost to connect to the platform and a cost associated with provisioning handsets beyond that I’m not going to reveal further details,” he said. Sear did say, however, that if each bank and mobile operator in the UK attempted to bring their own mobile payment offering to the market, there would be around 13 or 15 firms launching similar technologies to securely talk to each other. “We’ve taken that 13 to 15 down to two – so the cost of processing mobile payments – which is inevitably going to happen – is reduced by a factor of ten,” he said. 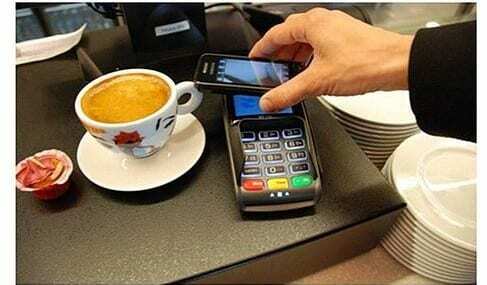 He added that he expects services using the platform to come to market at the beginning of next year, claiming that not enough smartphones on the market today are capable of processing NFC payments. “It is difficult to predict and will rely on a lot of factors, such as the shipments of new devices. I was recently speaking to people at Samsung and even they don’t even know when a new device is coming until six weeks before it happens,” he said. Commenting on Apple’s resistance to implement NFC technology into its iPhone smartphone range, Sears admitted that “nobody really knows what Apple is going to do”.